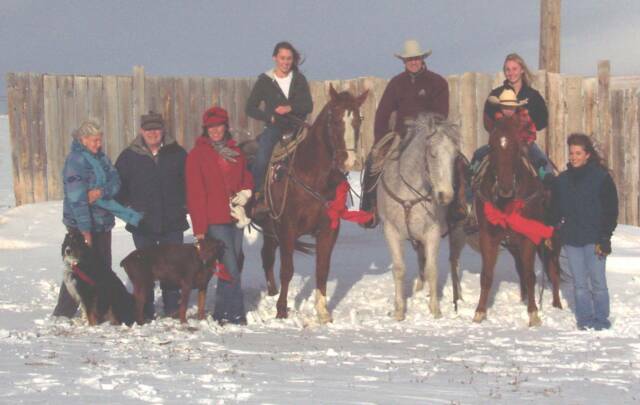 Sun River Horse & Cattle Company, Inc. is composed of a our 311 acre ranch and thousands more in leased acres. Located in the beautiful Sun River Valley 23 miles West of Great Falls, Montana and 4 miles North of Sun River, Montana. We live on the famous fertile Fairfield Bench where the best hay in the world is produced. There are hay fields, buttes, rolling hills, and ample water in the form of natural springs, creeks, bogs, collees, throughout the landscape. There is a perfect view of the amazing Charlie Russell Butte and the Rocky Mountain Front to the West. You are invited to visit, and we hope you will!